Monochrome, something that I had left a long time since I was in high school. First, I did not dare play of colors, so my fashion sense in high school just to play safe with colors such as black and white. While in college, I was too much play of color and unfocused. It made me had a lot of clothes that end up not ever wear. When I started working, my fashion taste is uncertain. Review to my last year, I focused on the theme of vintage and Korean Style. For this year I want to play with monochrome and a touch of Korean fashion. I'm getting excited for this month shopping! YEY! 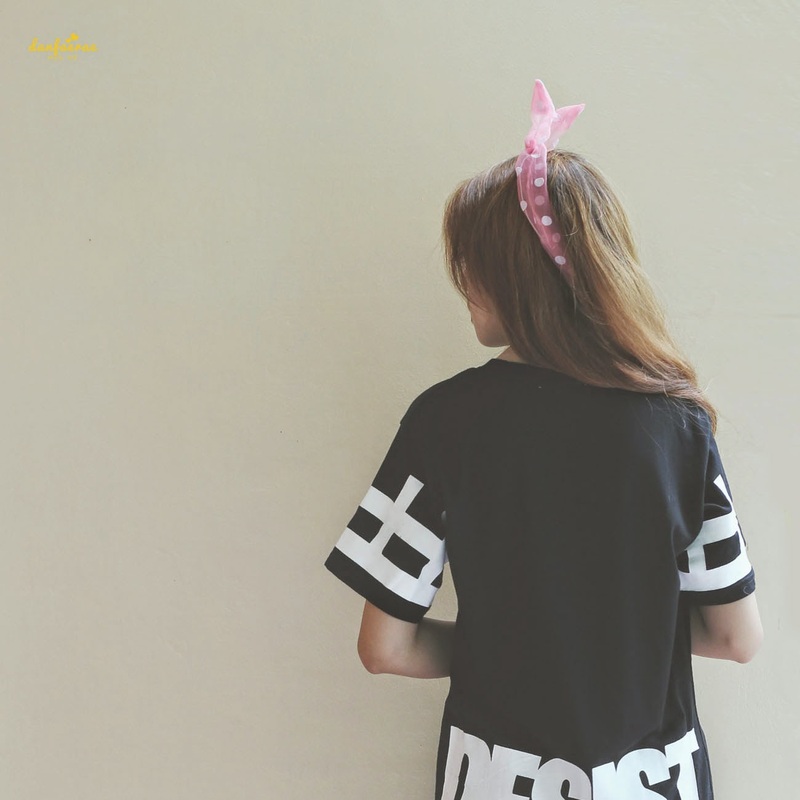 XD So, here's my first spending on Desist Tee that I've wanted since last year. A Monochrome K-Fashion. What do you think?